Nov 15 Christmas Tree DecoratingðŸŽ„ Challenge! Believe it or not, it has been 5 years since we haven't celebrated Christmas at home! We take our tradition of celebrating Christmas and New Years in a different country seriously. But, we have noticed how old our pets are becoming and have shifted our priorities towards enjoying the years that we have left with them. It is also our last Christmas as an engaged couple :) We are fully committed to celebrating this season in the best way possible! With all the sad things goiBelieve it or not, it has been 5 years since we haven't celebrated Christmas at home! We take our tradition of celebrating Christmas and New Years in a different country seriously. But, we have noticed how old our pets are becoming and have shifted our priorities towards enjoying the years that we have left with them. It is also our last Christmas as an engaged couple :) We are fully committed to celebrating this season in the best way possible! With all the sad things going on in the world, we want to bring the holiday spirit up because there is a language in the world that everyone understands. The language of enthusiasm, love and purpose! Our challenge to you: Please join us in uploading your Christmas tree decorating video! 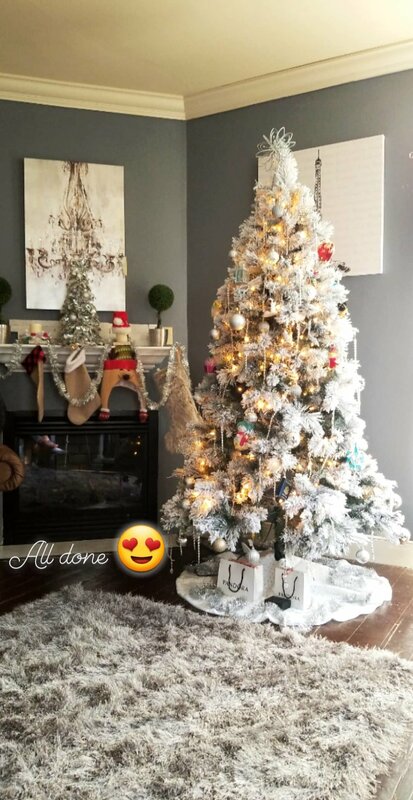 It doesn't have to look professional, we took ours with the hyper lapse feature on our phones!...After all, It's the most wonderful time of the year! Ps. If you are interested in participating... please tag The Sweet Travelife on FB or Instagram #thesweettravelife to have a home base where everyone will be able to go see your videos!! Mele Kalikimaka! Well, what do you think of our final look?